The Body First School Fitness Challenge is a series of Fun Runs ranging from ¼ mile to 2 miles for youth in grades 8 and younger. In 2014, this event had 1,063 participants, and involved 23 percent of K-6 students in the Manhattan-Ogden school district. 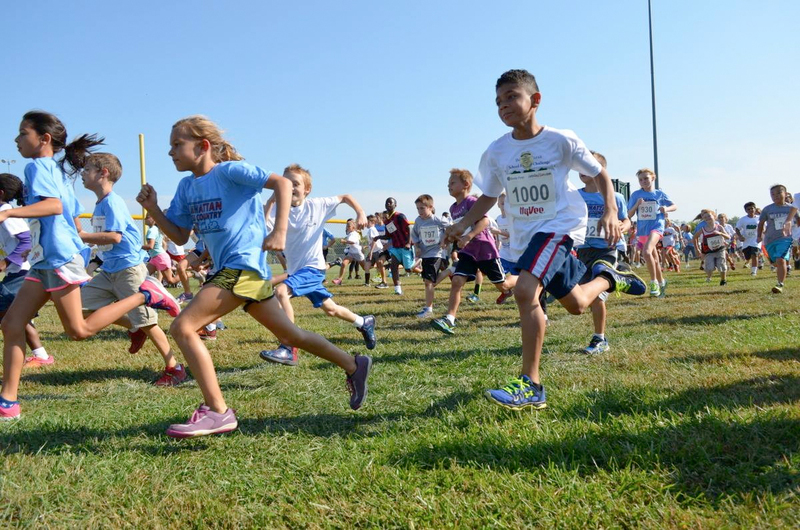 By far, this is the largest Fun Run for youth in the state of Kansas, and there is mounting evidence that indicates it is one of the top 5 Kids Fun Runs in the entire United States. The Manhattan Cross Country Club has received funding from the YES! Fund Grant Program to support the Body First School Fitness Challenge since 2013. YES! stands for Youth Empowerment for Success. For the over 20 years, the YES! Fund has played a vital role in funding programs with significant opportunities for boys and girls of every age, ranging from academics to athletics to the arts.